I often have discussions with other appraisers and property owners around Portland, Oregon about the difficulty of appraising vacant land. Many are surprised that it can be more difficult to appraise property without a home than with a home. There are several principal reasons for this. When appraising vacant land, there are typically more feasible options to explore about, “What is the highest and best use of the land?” This is because, when there is already a house built (one that is in good condition) in an area of similar homes, it is usually easy for the appraiser to see that it would not be feasible to tear down the existing structure and build something different. However, with vacant land there may not be any homes around it, or the homes that are around the land are old and are no longer the ideal improvement for the current real estate market. The phrase “highest and best use” is important in appraising because it tells us what sales are comparable. A similar looking tract of land might be maximally productive to build a duplex, rather than a single-family residence. We would not want to compare that duplex site to property that it is more suited for a single-family residence. 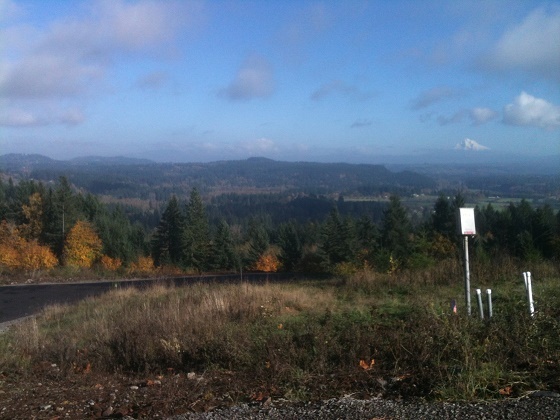 In addition to all of the above, land is particularly difficult to appraise in Portland, Oregon and many of the surrounding suburban and rural areas because there are fewer overall comparable sales. Vacant land does not tend to sell as often as homes and there is now very little vacant land available to build on around Portland. Therefore, where a typical home may have several similar properties within a one mile radius, a vacant piece of land might require searching Portland’s entire east side for similar sales. To make matters worse, many vacant land sales occur outside of the local multiple listing service as a result of builders approaching land owners or because of “across-the-fence” deals. Finding and verifying these sales through vague county records data can be extremely tedious and time consuming. Did I leave anything out or do you want to join in the conversation? Let me know in the comments below. If you find this information interesting or useful, please subscribe to our blog and like us on Facebook. Also, please support us by making Portland real estate appraisal related comments on our blogs and YouTube videos. If you need Portland, Oregon area residential real estate appraisal services for any reason, please request appraisal fee quote or book Gary F. Kristensen to speak at your next event. We will do everything possible to assist you. You did a great job in this article spelling out and summarizing the complexities of #landappraisals. Keep up the good work! Thank you for your kind support Mike. You made some great points Gary. It sounds like land is like a blank canvas, so you have to find out what kind of painting is most profitable (possibly a stretch). Very deep Luke. Thank you for your comments and your support for our Portland appraisers. Well said, Gary. I agree with you too. I am appraising a vacant site in Sacramento right now, and it's really just as time-consuming as a typical appraisal. I don't have to measure a house, but there are other things to consider. That's why in this case I charged the same amount as I would have had there been a house on this site. Thank you for your input Ryan. I agree. It is always an honor to hear from the best appraisal blogger in the country. Nice post, certains area of Chicago don't have much vacant land; however, those areas are experiencing a change in highest and best use and some of these points apply. Thank you for the comments John. I bet there are areas of Chicago that don't have much vacant land available. In Portland, even where there is land, the sales of land tend to be limited. One thing that I did not mention directly is that builders will buy large tracts of land and build, so individual lot sales are hard to come by. I find reason #4 to reflect my area. In the past when construction was strong it was difficult to appraise vacant land because the majority of the lots that sold were part of a land/home construction sale and it was impossible to separate the two. Developers would rarely sell to individuals. Now the only lots that are selling are at a low price because new construction is slow to return. This type of appraisal definitely requires just as much effort as an single family home. Thank you Tom for your comments. For me, I too think #4 is the biggest reason it is difficult to appraise land. We're often asked to appraise one lot and those lots rarely sell as just one. Great blog, there are always many questions about land appraisals and this clears up a lot of them. Thanks for sharing. Thank you Michael, I am glad I could clear up issues about land appraisals for you. Great info Gary! Too many appraisers ignore "highest and best use" when completing their analysis. Informative blog post as always! Thank you Paul. I agree, residential appraisers tend to ignore highest and best use.